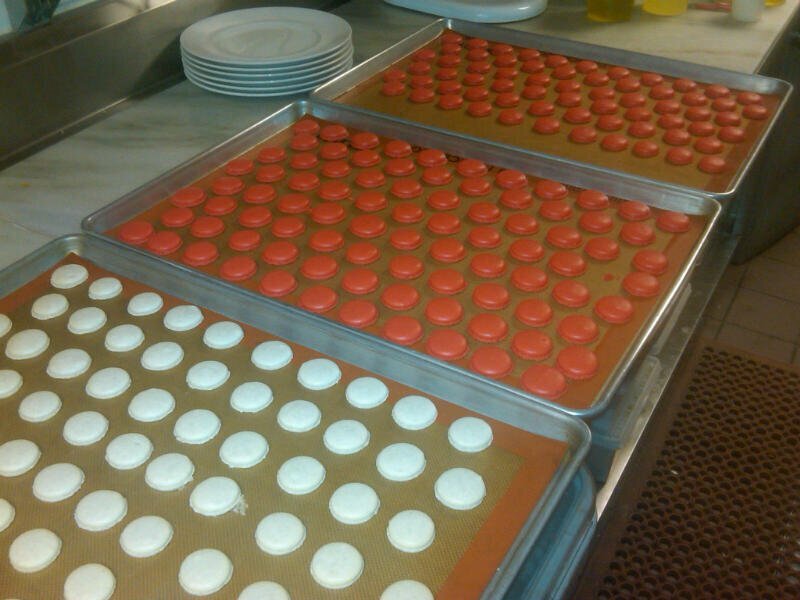 Dessertbuzz | Can you spot the macarons made by the Pros? Updated: After a tight finish with three people guessing the correct photo… the winner is…Victoria from District Chocoholic who correctly guessed that the macarons from photo #1 were made by a pro, in this case, recently featured Executive Pastry Chef Antonio Bachour of Quattro. 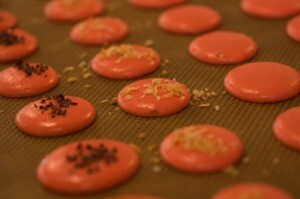 The macarons made by “the hack” were actually mine, made during DessertTruck Works super-fun macaron classes. Check them out here. 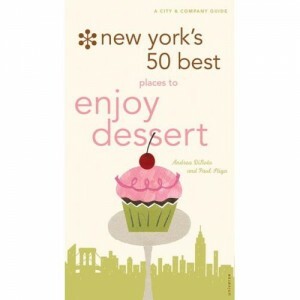 With New York Macaron Day just around the corner I thought I would have a Dessert Buzz contest. One of the two pictures above shows macarons being made by an executive pastry chef with almost 20 years of experience, and one shows macarons being made by an inexperienced hack. Can you tell which is which? Put your answers in the comments. I will be collecting the answers and picking one winner from all the correct guesses. If you guess wrong but your comment is funny, I’ll include that name in the lottery as well. The prize? 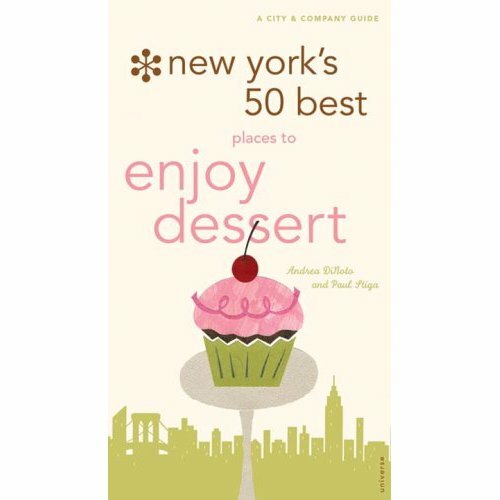 A copy of “The 50 Best Places to Enjoy Dessert In New York City”. More on Macron day here. Good luck. I’ll annunce the winner on Thursday morning! @Joseph – so which bacth is from the legit chef? I guess photo 1 is the pro, simply because of the scale. i just like how one of the macaroons is missing from picture one. amateur or pro, chef one is impatient for macaroons! excuse me. macaron. auto spell checkers are liars.